A special Cake for a special lady, celebrating her Birthday. 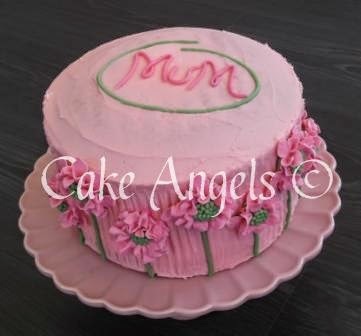 3 layers of Pink Ombre Cake, decorated in pastel Pink Buttercream icing, with frilly Pink flowers. 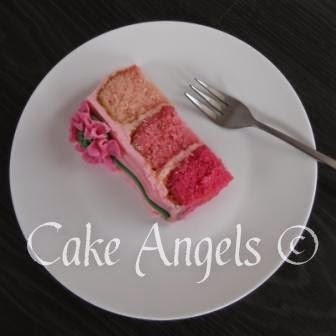 Just a little something the Cake Angels whipped up for the Party.